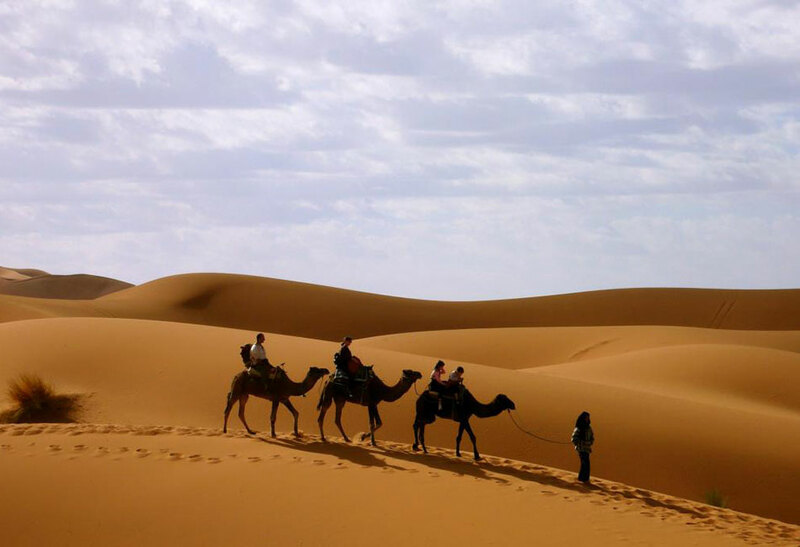 3 days marrakech to fes desert tours is one of our most popular tours because it offers such a wide range of adventures. On the first night of your tour you’ll stay in a private guesthouse with your own ensuite bathroom, whereas your last night will be spent sleeping under the stars in our secluded Berber desert camp. 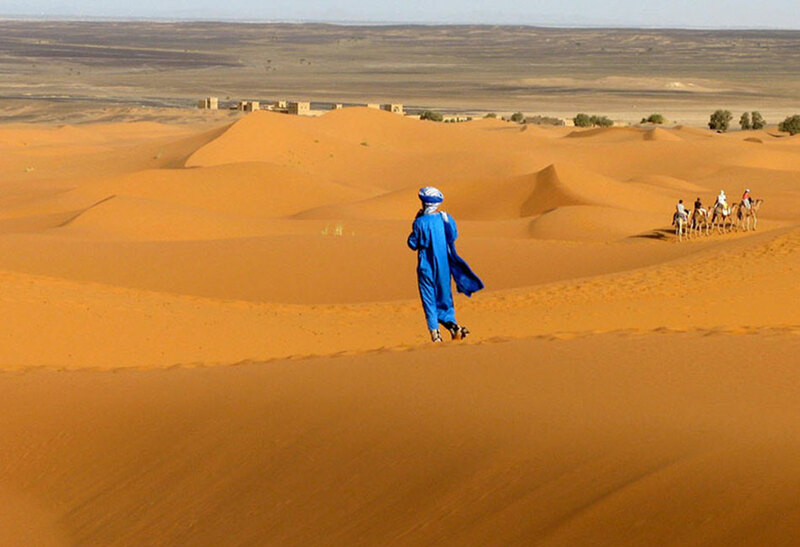 A Brief Outline of Your Desert Tour from Marrakesh to Fes . Yes, we welcome sole travellers! If you’re travelling on a shared tour you should expect to be picked up from your hotel at around 7 am. 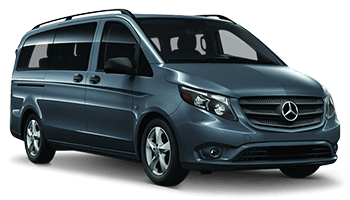 For private tours, you will be picked up from your hotel (or airport) just before 8 am. You will travel in style to Telouat in our modern, air-conditioned minibus, before arriving at Kasbah Ait Ben Haddou. Because Kasbah Ait Ben Haddou is such a significant historical site, it’s become a very popular tourist destination. We’ll then move on to the City of Ouarzazate, often referred to as the Gateway to the Desert. The scenery and landscape around the City of Ouarzazate is simply unbelievable, and in fact it does look like a film set. The truth is that many Hollywood blockbuster movies were filmed right here, and as a visitor you get to walk where some of your favourite movie stars have produced their very best work. Many large production companies have used this site as a film studio centre, and you’ll understand why when you visit this magnificent location. Time for a lunch break, which can be taken at any of the local cafes; after which we’ll head deeper into Dade’s Valley. We’ll stop at a town at Boulmalne Dades, right on the desert edge, where we’ll spend the night at a comfortable guest house. Together we’ll enjoy a delicious evening meal, and following breakfast the next morning we’ll continue through Dade’s Valley and head to Todra Gorge. Todra Gorge must be seen to be believed, and your 3 days marrakech to fes desert tours is the perfect way to experience this magnificent landscape. The area of Todra Gorge is extremely well maintained, with tourists guided on asphalt roads around this fantastic canyon. Occasionally you’ll see flooding from the Dades River, and it’s quite common to witness rock climbers and other adventurers exploring the vast cliff face. This may be our final destination for Day 2 of your desert trip, but the excitement has only just begun. Time for a camel riding experience! For those interested in participating, camel trekking on desert sands is a mind-blowing experience. You’ll feel like you’re in a movie, perhaps Lawrence of Arabia, and it’s an experience you’ll remember for the rest of your life. On camel-back, we’ll trek the final leg of our day’s journey as we head to our secluded Berber desert camp in the sand dunes of Erg Chebbi. 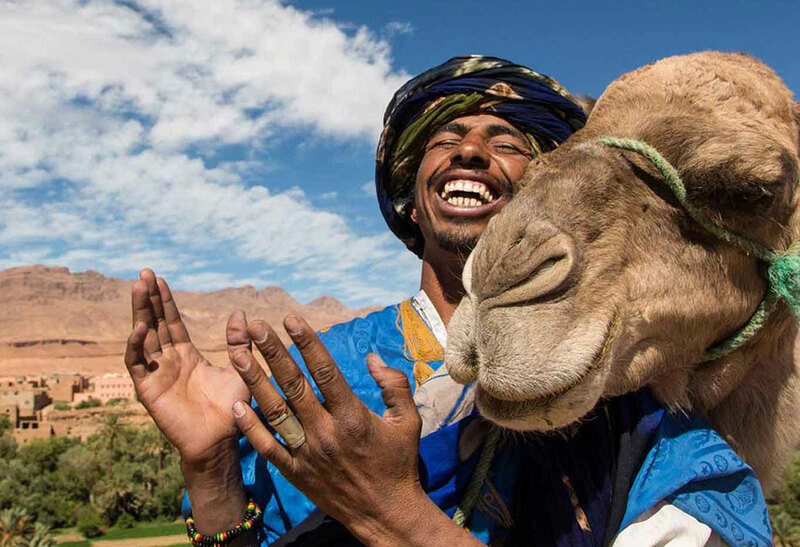 For those guests who prefer not to participate in camel trekking, that’s fine too. You can either walk alongside the guides, or travel by vehicle to our desert camp. Your adventure is not over! 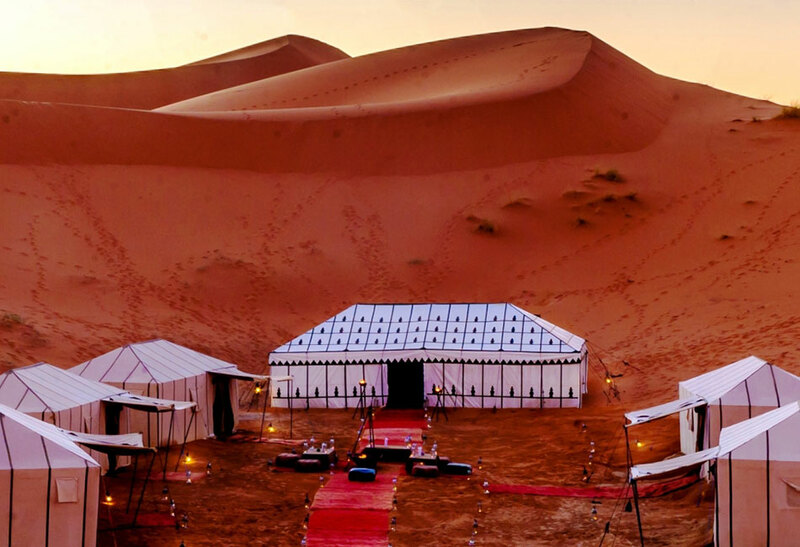 On the final night of your 3 days marrakech to fes desert tours you’ll be spending the night in traditional Berber desert tent accommodation, and you’ll get to experience an evening like never before. You’ll enjoy a delicious Moroccan meal around a campfire, seated under a beautiful starry night sky, and be entertained by local Moroccan musicians. What a magical end to an adventure-filled day! We believe this will be the most peaceful sleep you’ll ever experience as you rest under clean air, black skies, and listen to the occasional sound of the camels breathing. In the morning you’ll awaken to a delicious breakfast as we prepare for the final leg of our journey to Fez. If you enjoyed camel trekking on day two, you’ll be anxious to get trekking again as we head back to Merzouga. 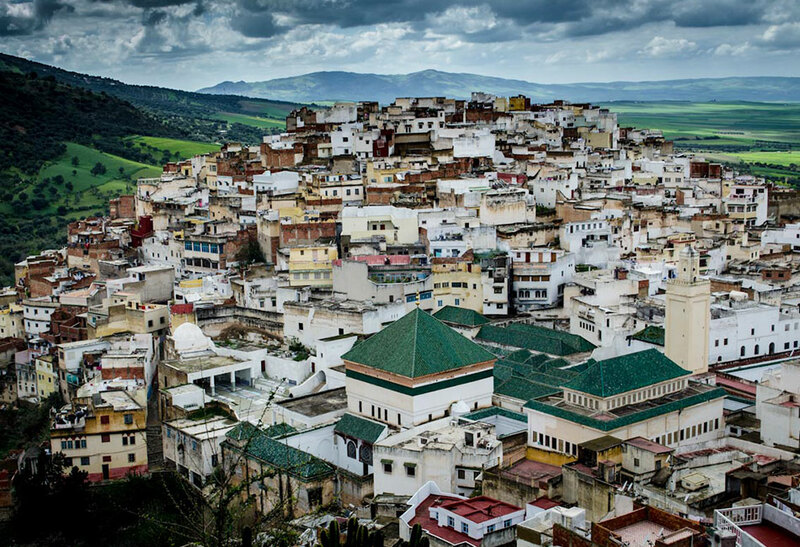 From Merzouga, we’ll head to Ifrane, one of the world’s cleanest and most fascinating cities. Known in Morocco as “Little Switzerland”, Ifrane is situated high up in the Atlas Mountains. During the winter season, snow can be seen in Ifrane. You may choose to enjoy lunch in Ifrane or, depending on the schedule, you may choose to stop over in Ziz Valley. The stunning landscape scenery and fantastic photographic opportunities as we travel along this beautiful inland Moroccan route must be seen to be believed. 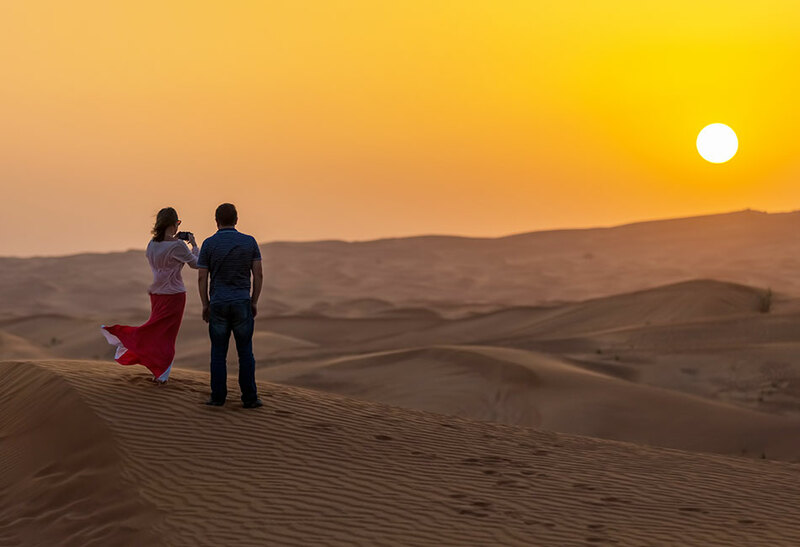 As we travel through the beautiful Ziz Valley you’ll be in awe of the dramatic gorges, the un-ending reddish-gold sand dunes, and the unbelievable oases, with the largest oasis in the Sahara being the Tafilalt. You’ll marvel at the lush canopy of palm trees as they erupt from the sides and bottoms of cliff faces, you’ll be amazed at the spectacular golden sandstone buildings, and you’ll be fascinated at the number of deep gorges that wend their way throughout this beautiful valley. 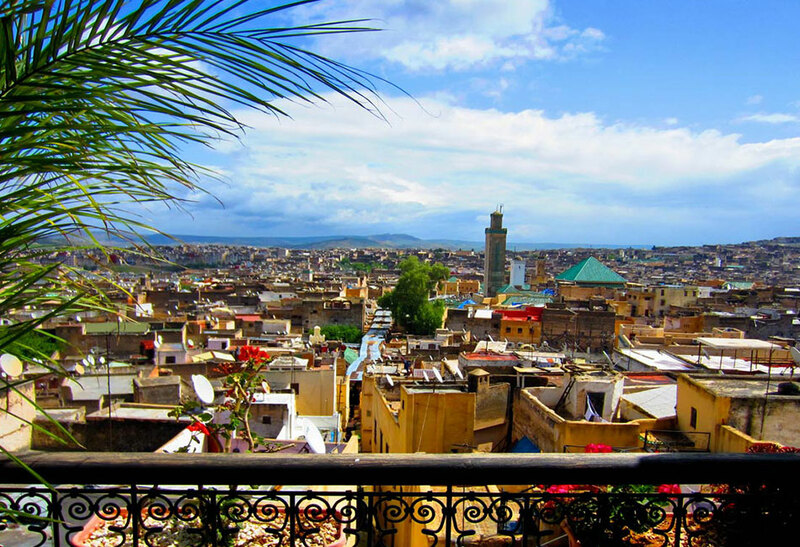 Our journey together is almost over, and your desert adventure will end when we arrive at Fes at around 5 or 6 pm, at which time we’ll drop you off at your hotel or Fes riad. Taxi transfer from Merzouga to Fes. Guide at Ait Ben Haddow, if required – typically around 3 euro.